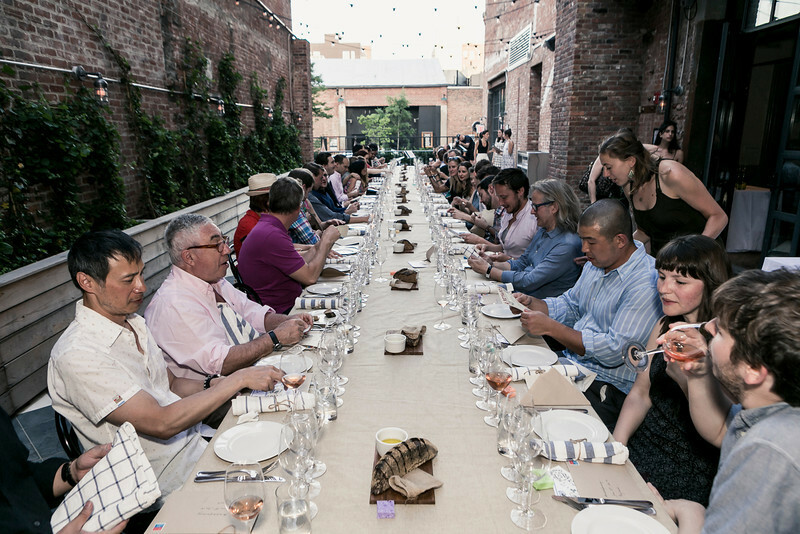 Guests at the recent Sud de France Festival meal at Reynard in Williamsburg. Credit: Charles Roussel. If you’re a francophile in New York, you don’t have much reason to leave the city to indulge your cultural interest (just walk around Brooklyn — Williamsburg and Carroll Gardens, specifically — and you’re bound to hear someone chirping away en français). 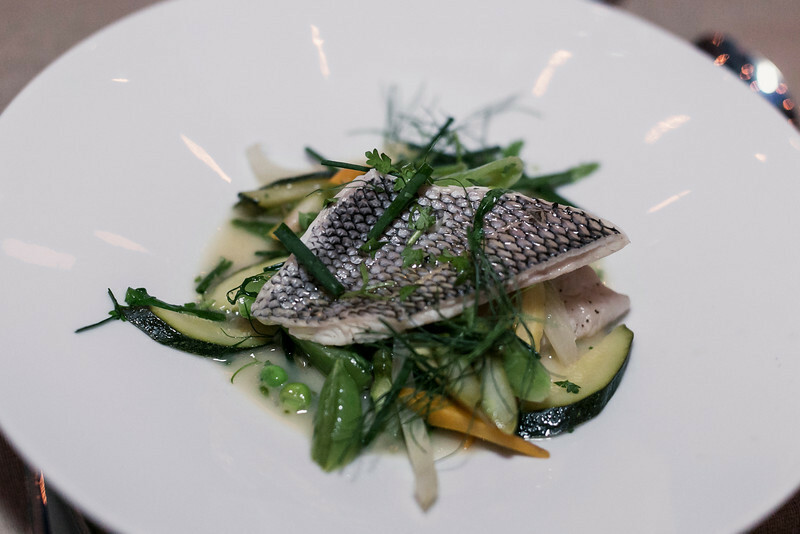 When it comes to French food and drink, there’s the classic French venues helmed by Eric Ripert, Alain Ducasse, Daniel Boulud, Jacques Torres and other French chefs who’ve made their mark on the city, alongside events by the Parisian-born Le Fooding. 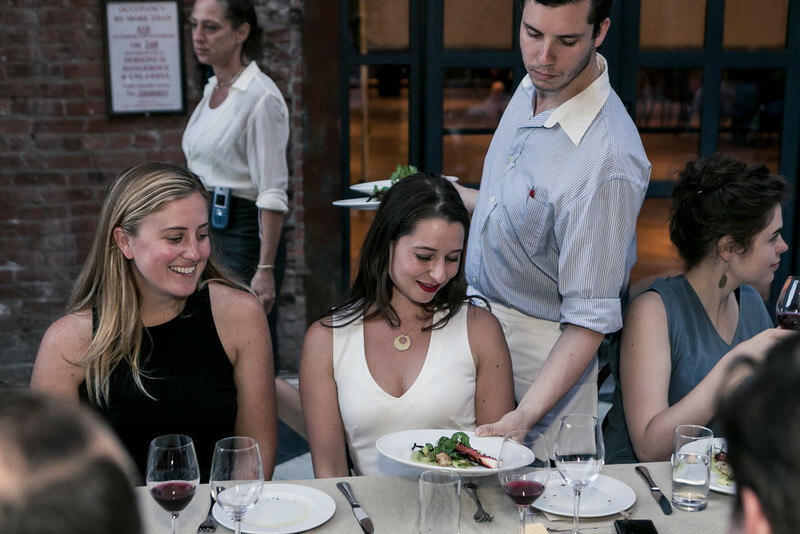 They have connections in multiple boroughs to plan annual parties that celebrate playful menus from some of our favorite local restaurants. The most recent was this past weekend’s Fruitstock Beach Party in the Rockaways where — at least on Friday, when we attended — Momofuku Milk Bar paired with La Newyorkina to make one-of-a-kind popsicles, Rockaway Taco served cornmeal crostini sopes and San Pellegrino created signature mocktails with their new pomegranate/orange and clementine flavors. We laughed, we picnicked and we kneeled down before the summer chilled lemon shio dashi ramen by Ivan Orkin of Ivan Ramen (pictured above). Another recent, and more explicitly French, experience was the Sud de France Festival. 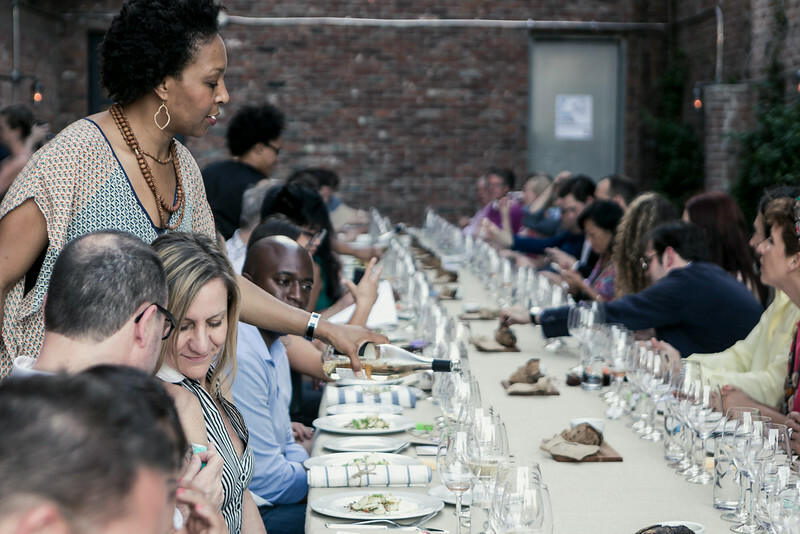 Happening every June across New York, the festival works with Le Fooding to create unconventional dinners and wine lists at local restaurants themed around the bounty of France’s southern regions. The organizers have been known to sail up the East River while serving a cassoulet feast, throw a literal “block party” from Fifth to Madison Avenues along 74th Street and host wine crawls atop a double decker bus. Sad you missed it? Remember, the festival is annual, so keep an eye out for it next June. 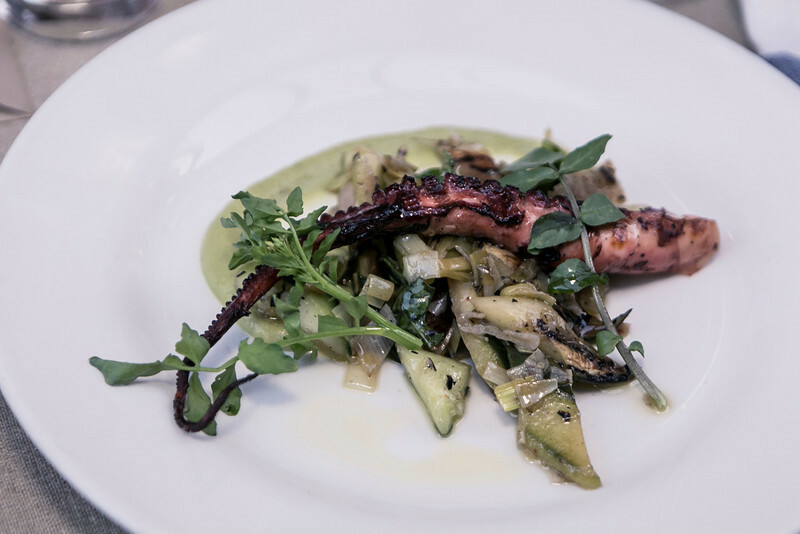 The first course of the dinner at Reynard was octopus with leek and a toasted bread salad. Credit: Charles Roussel. When I think about the southwest of France, it’s hard not to think about the Pyrénées and mountainous cuisine… [This location generally inspires me] to think more about the fall and cooler months; but when you think about the fact that there is a coastal region there as well, especially around the Mediterranean, there is a specific cuisine that can relate to [local produce that’s available during] early summer months. I also like it when a meal can become a miniature traveling experience… You know, if you’ve been lucky enough to travel to a certain place, then great. 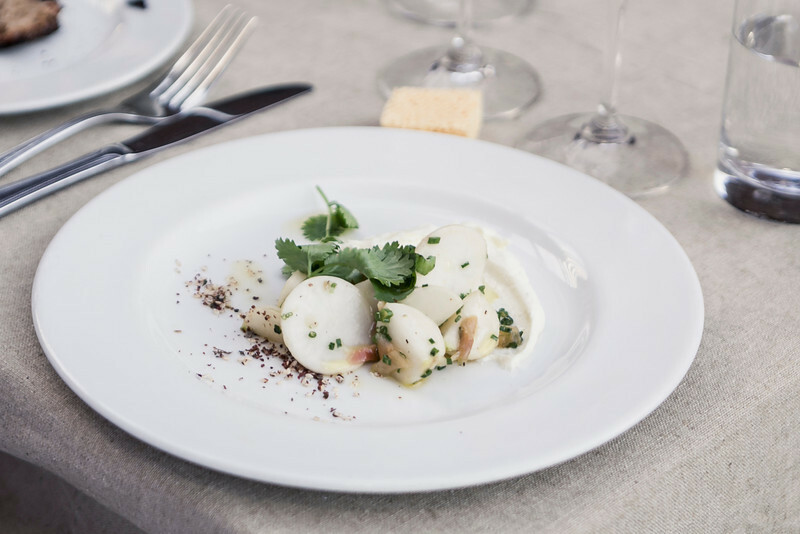 But the idea of traveling somewhere based on having a food experience — because maybe you’re having wine from that region or cheese from that region — creating that experience gets me excited. 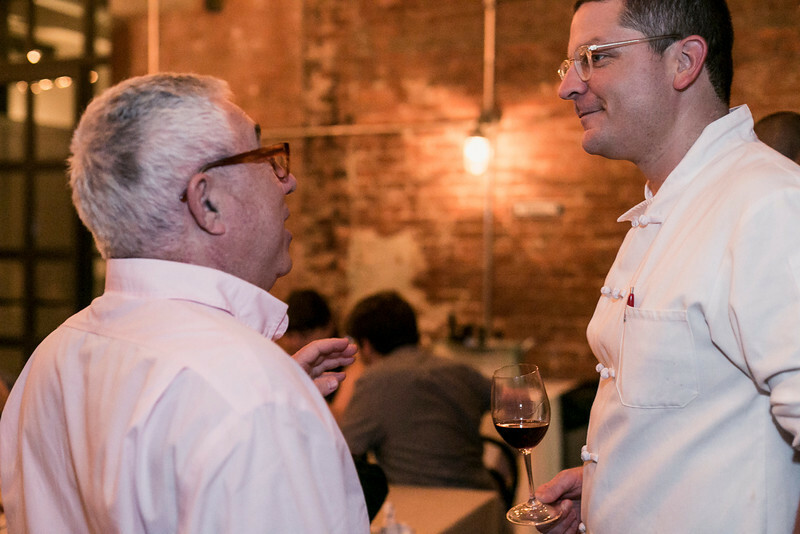 And bravo, chef — you, sommelier Lee Campbell and the Reynard team transported your guests! 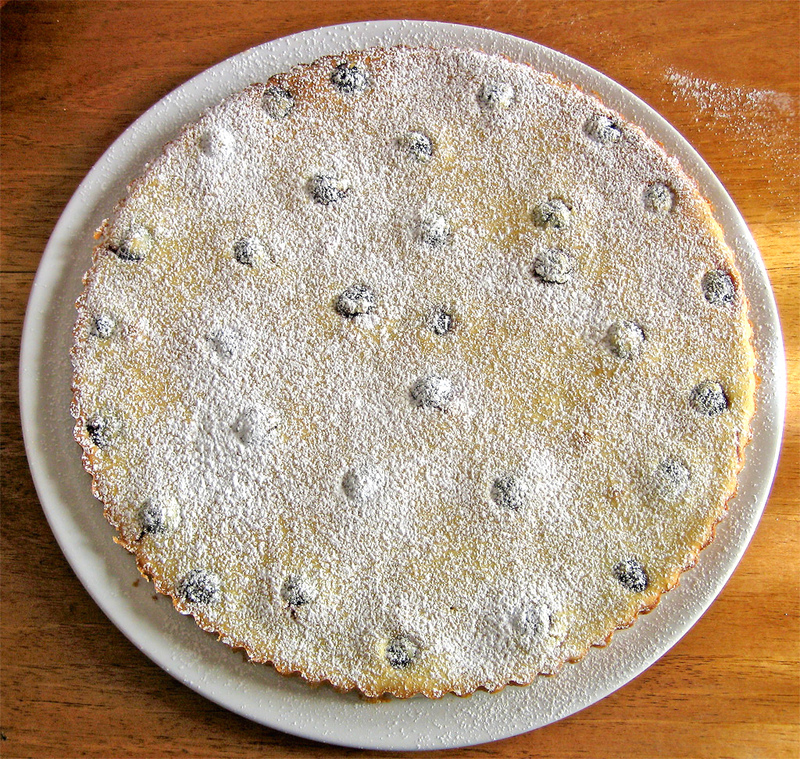 Of course, no time’s better time to tap into our inner French lover than Bastille Day, and thanks to chef Rembold, we have his recipe for a classic fruit clafoutis, or fruit-forward flan. It’s a fairly simple dessert, so don’t be intimidated by the two-day process needed to perfect the flan’s texture. Trust us — it’s worth the wait. 1. Combine the milk and heavy cream and scald (i.e. bring to just the point of boiling) in a heavy sauce pan, scraping the bottom and sides of pan with a spatula as the milk is heating. Remove from heat and scrape the bottom of the pan again. Set aside to cool. 2. Using a paring knife, split vanilla bean lengthwise in half and scrape out its flesh, including seeds. Place into the still hot milk/cream along with the scraped out hull of the bean, too. Allow to cool to room temperature. 3. When cool, remove the vanilla bean shell (saving for another use), and pour milk/cream/vanilla flesh into a blender with all the other ingredients except the all-purpose and almond flours and herbs. Process for 1 minute, or until fully incorporated. Alternatively, whisk all the ingredients (again, except the flours) together in a bowl until evenly combined. Pay attention that the eggs are fully incorporated. 4. Pour custard base into a bowl, cover and refrigerate until ready to use, 12-24 hours later. 1. Remove the custard base from the refrigerator and bring to room temperature. 2. Butter well, two, 7” cast iron pans. 3. Preheat oven to 400 degrees F if using a conventional oven, 375 degrees F, for a convection oven, with high fan. 4. Prepare the fruit. You can use any seasonal fruit you wish, but wash and dry thoroughly. Combinations of different fruit, even some rhubarb (when in season), work really well. Hull strawberries if using, and cut into medium size pieces if necessary. Pit stone fruit. If using peaches or nectarines, cut into medium size wedges. If using apricots or plums, cut in half or quarters. If you add rhubarb, trim as necessary, and chop coarsely. Toss fruit together. Set aside. 5. When custard base reaches room temperature, pour into a blender and add the combined all-purpose and almond flours, plus the herbs if using. Blend for 30 seconds. The flour should be fully integrated, with no lumps. (If you don’t have a blender, place two to three tablespoons into a small bowl, and sprinkle combined flours into it, whisking or stirring all together until evenly incorporated. Leave no lumps of flour. Stir the flour (with a whisk or mixer) into the rest of the custard base until evenly incorporated. 6. Fill the prepared pans about ½” up their sides. 7. Dot in fruit evenly. You can use your fingers or a spoon. The fruit should sink into the batter, not rest on top. 8. Bake until set, about 15-20-minutes in a conventional oven, 10-15 minutes in a convection oven. When you are getting close to time and the top crust becomes golden, stick a skewer (or paring knife, or toothpick) into the cake. If it is clean when you pull it out, the cake is ready. If the top crust is darkening and the cake has not set, reduce the temperature by 25 degrees. Bake a short time longer. 9. Cool, and serve at room temperature.